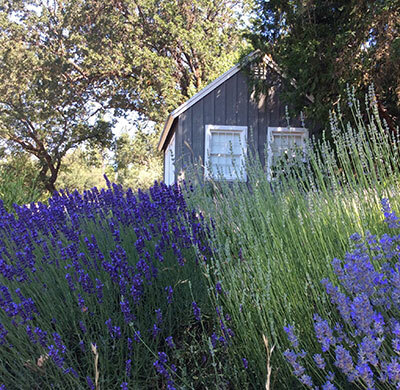 Lavandula Angustifolia, English Lavender (true lavender) – is typically smaller bush with pale green foliage and 8 to 10” flower spikes. Our varieties include the deep purple colored Hidcote and the light blue-lavender Munstead. The short stemmed Munstead is usually the first to bloom in our farm entry garden and marks the beginning of harvest in late May. The intense purple Hidcote starts showing color a week or two later ushering in the next wave of our farm-favorite long stem Lavandins towards the end of June. Lavandula x intermedia, Lavandin - often referred to as “French lavender” is a sterile hybrid cultivar with long 12 to 18” graceful spikes and a distinct fragrance. The varieties we grow include Provence, Hidcote Giant and Grosso. Provence and Hidcote Giant begin to spike and show color as our English Lavender harvest fades at the end of June. 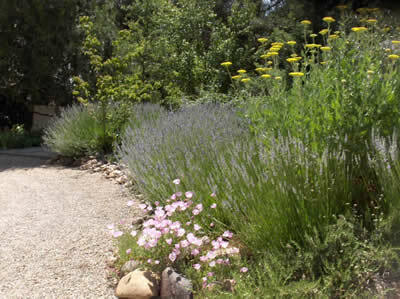 The graceful lighter colored spikes and sweet fragrance of Provence and Giant Hidcote give way to the late arriving star of our lavender farm. The deep purple-blue spikes of Grosso, with its distinctly different robust aroma is by far our most popular variety for fresh cut bouquets, dried bundles and essential oil. We sell hand cut fresh lavender bouquets early in the season (June & July) and dried lavender bundles (see harvest tab) after the fresh cut offerings are gone in August. steam distilled essential oil as part of our artisan farm crafts. Please see our products tab for more information about lavender bouquets, herb wreaths, lavender soap, sachets and essential oils.